Within the boutique Anmin you can find a set of 4 exclusive products “Sinergy”, “Serum”, “Face Cream” and “Body Cream” for a good retention that goes on even at your home. The constant use of these 4 products specially designed, extends the result of the treatment. 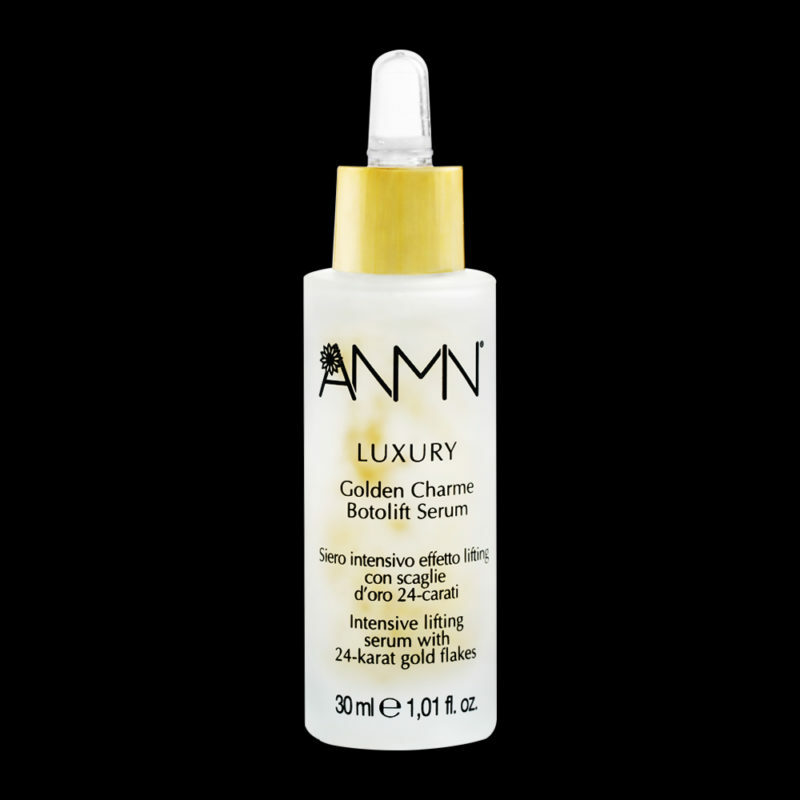 Rejuvenating lightening cream with 24-carat gold flakes. It does anti-wrinkle action by restructuring deep skin proteins in depth. 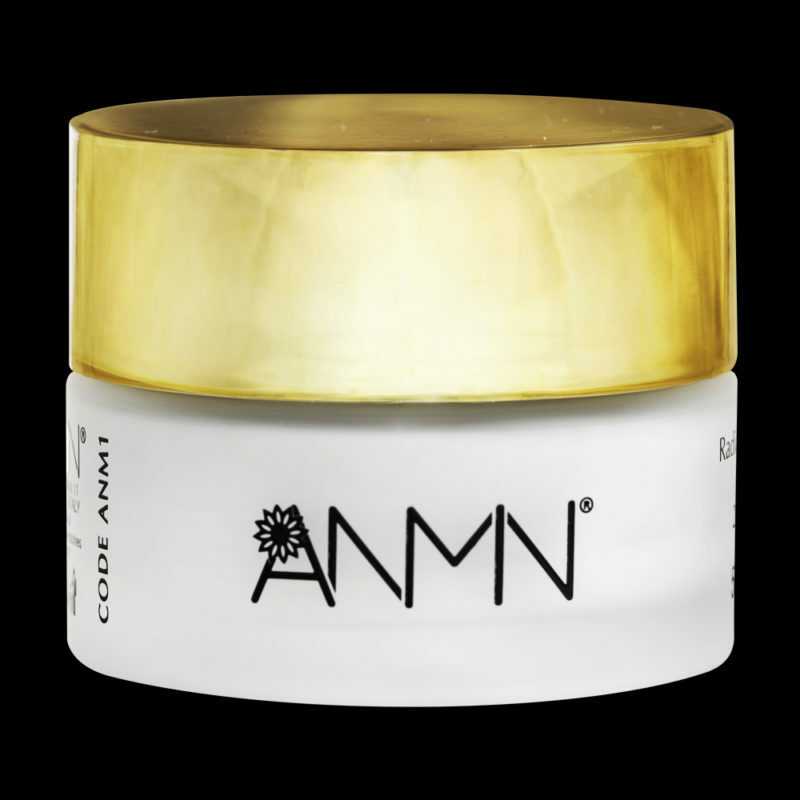 Lightweight, moisturizing and nutritious body cream with 24-carat gold flakes. Applied soon after the bath deeply moisturizes the skin, leaving a seductive fragrance throughout the body. 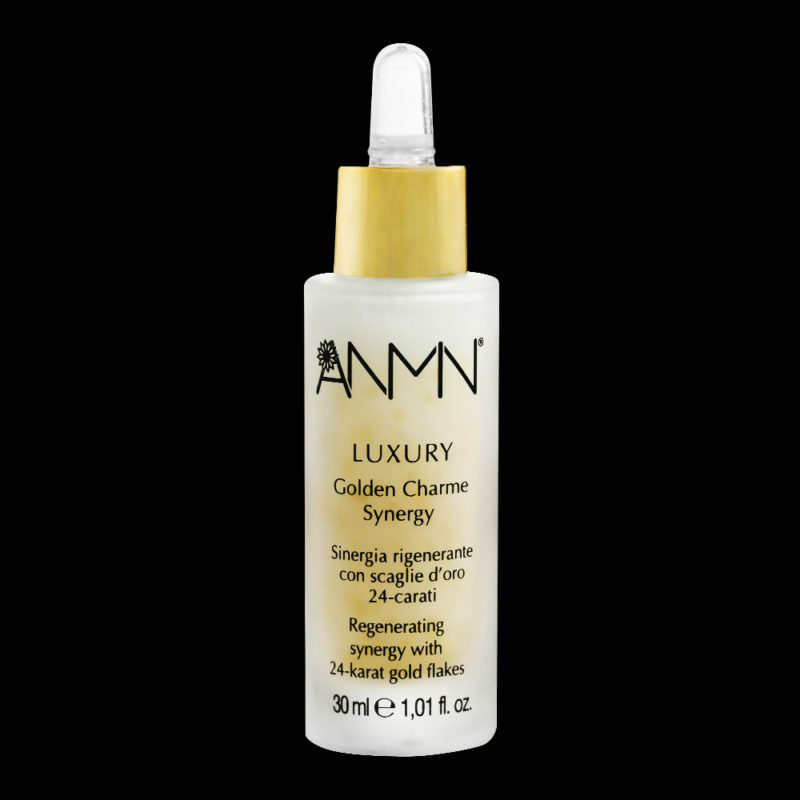 Regenerating intensive fluid with 24-carat gold flakes. It immediately attracts wrinkles and thin lines of expression. The formula enriched with valuable oils and emollient substances nourishes and tonks intensely, acting against ptosis of face and neck. The skin looks soft and precious brilliantly. Sinergia Oleo regenerating with 24-carat gold flakes, specific for eye and lip contour. Thanks to the high concentration of fine oils nourishes in depth giving new elasticity and compactness to the facial features. Helps alleviate wrinkles and expression signs thanks to the filler effect of hyaluronic acid filler. Wrinkles are reduced, skin riddled and compact.